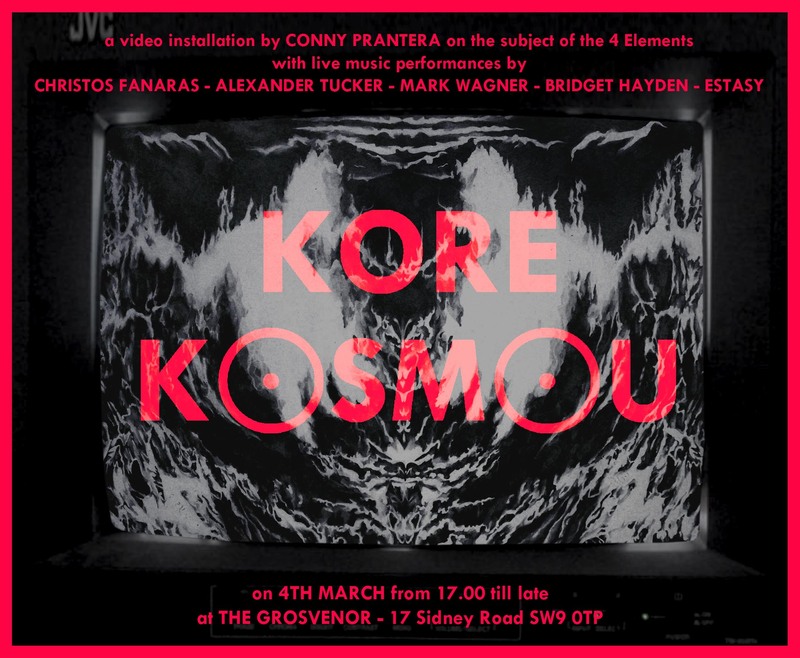 Londoners should get down to The Grosvenor on Sunday 4th March to catch Conny Prantera’s beautiful installation KORE’ KOSMOU. Previously shown at Supersonic Festival 2011 we’re thrilled this installation of drawings, video projections and live music performance gets another outing. For this show Conny Prantera has assembled some amazing musicians, and she presents you with a rare occasion to see them playing live in a one-off improvised music set. The show is a free event, but small contribuitions to cover costs will be welcome!